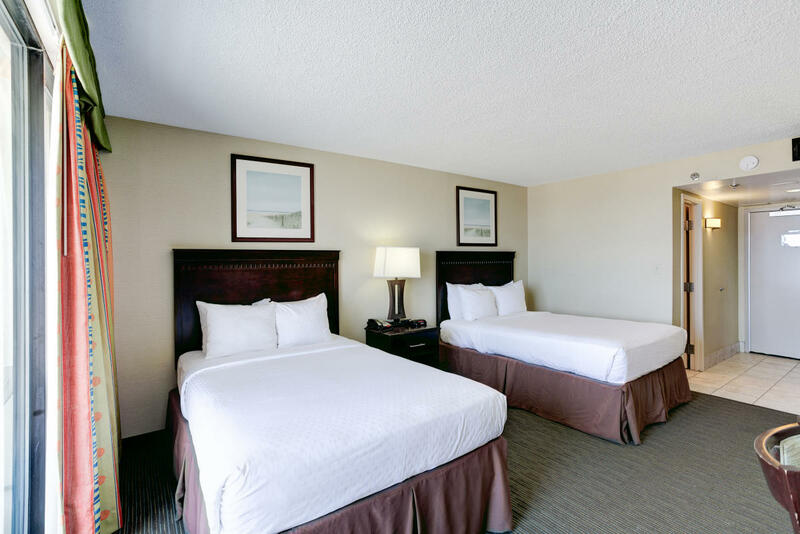 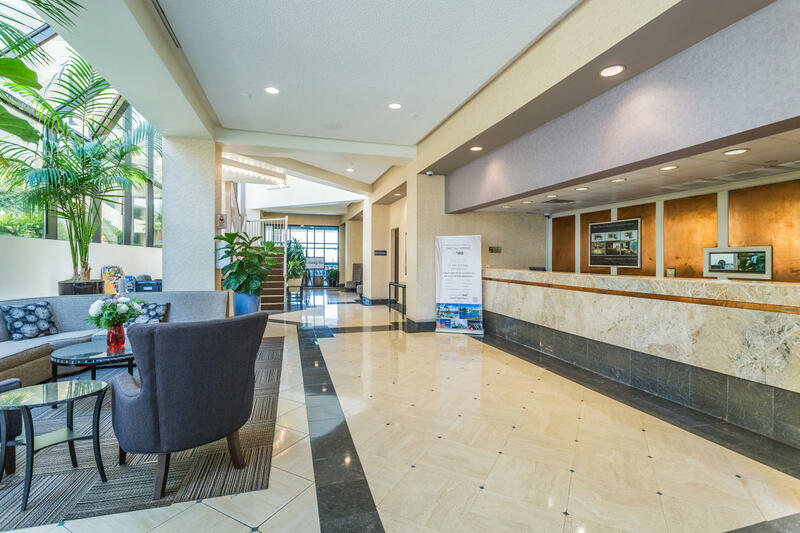 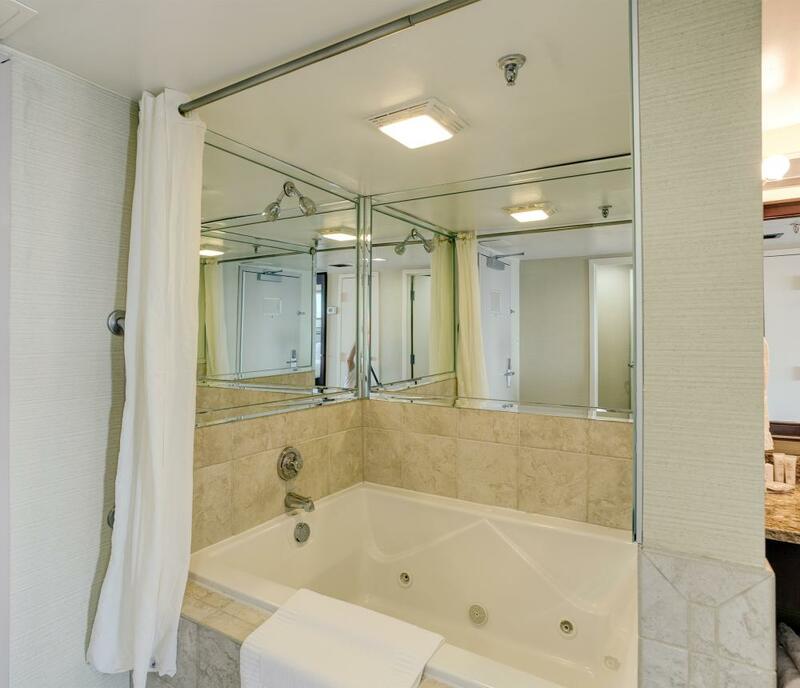 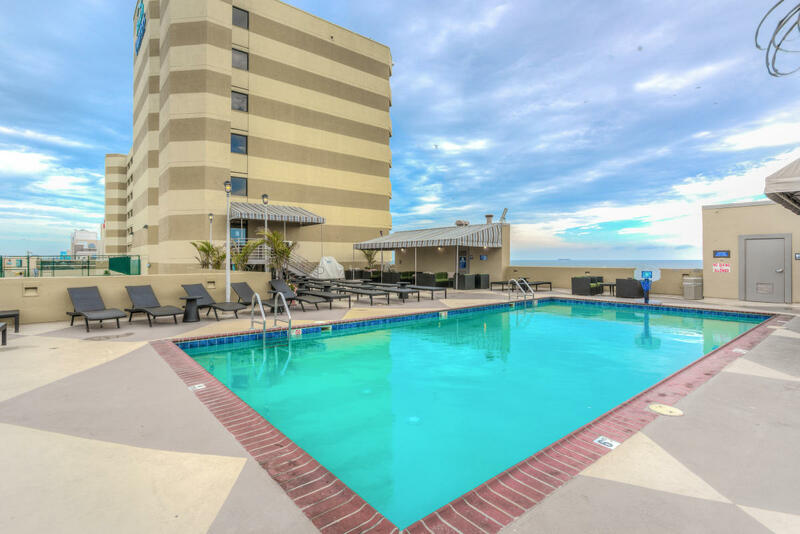 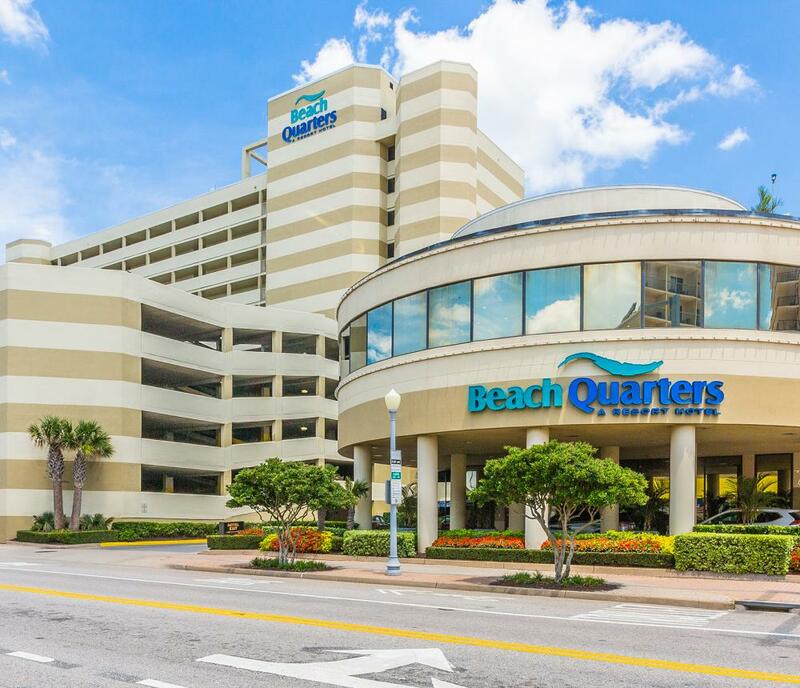 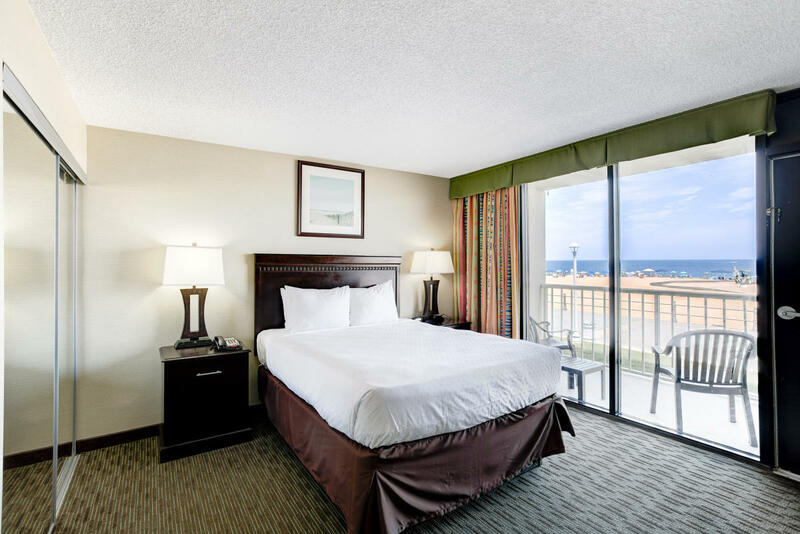 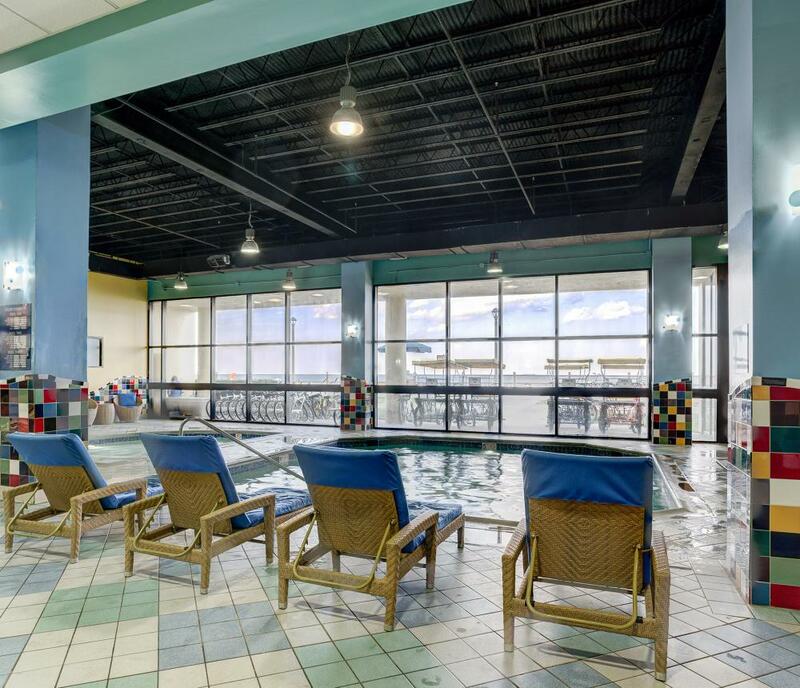 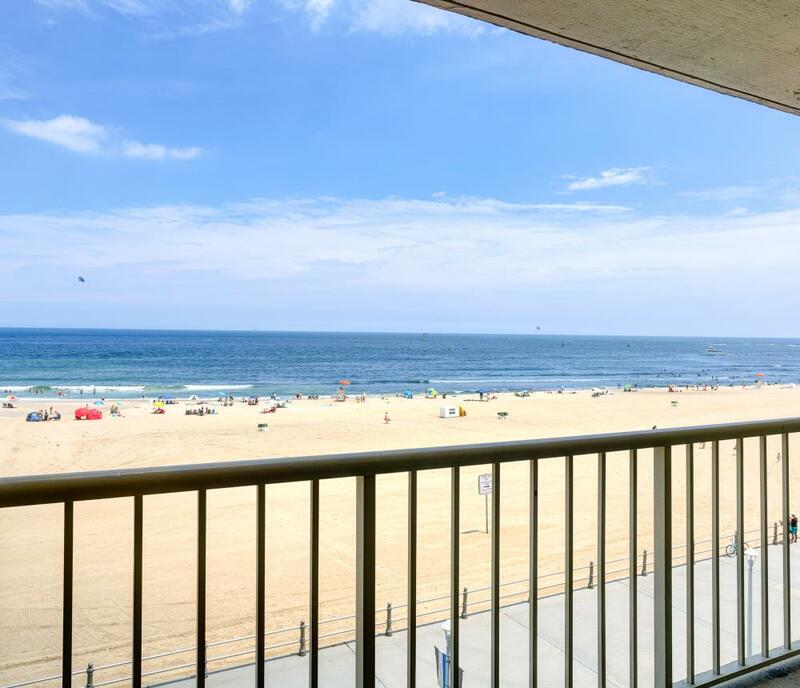 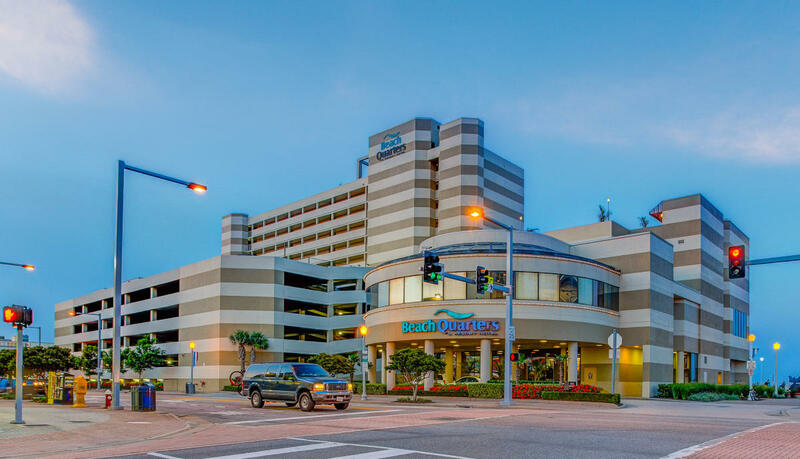 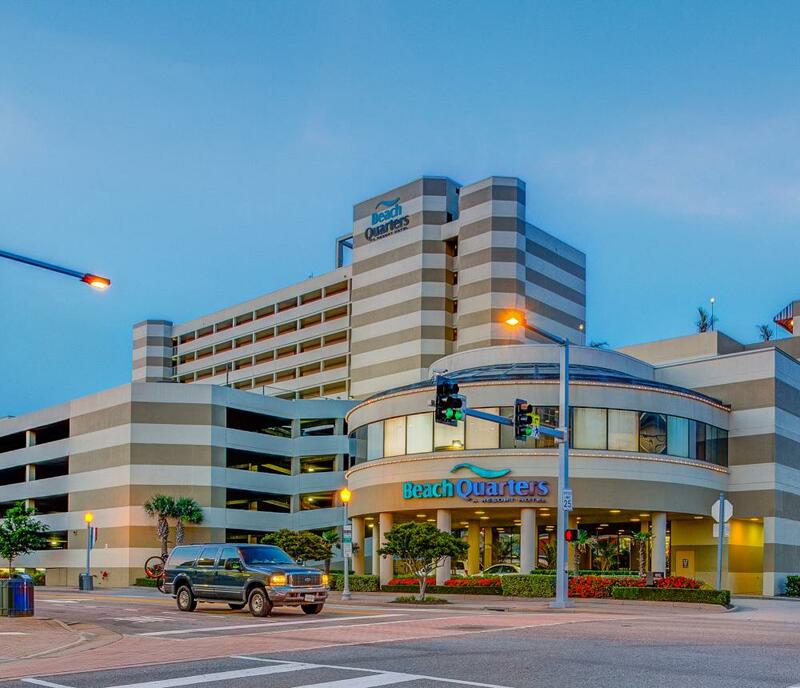 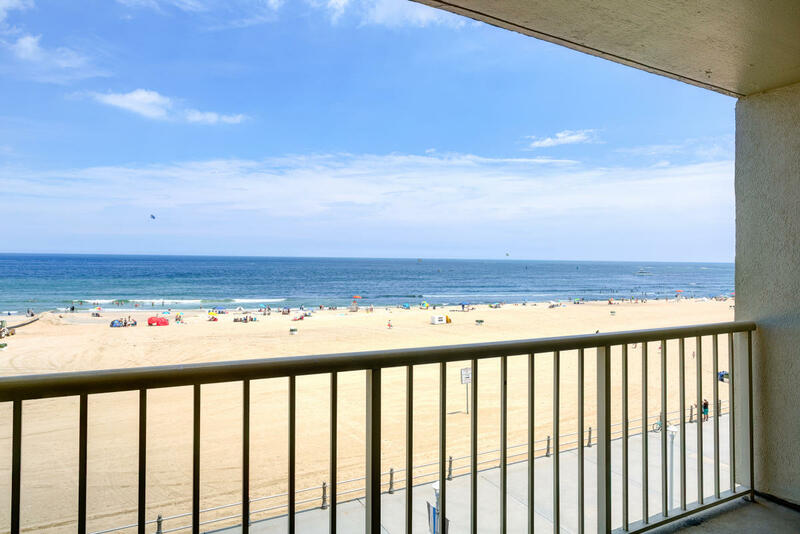 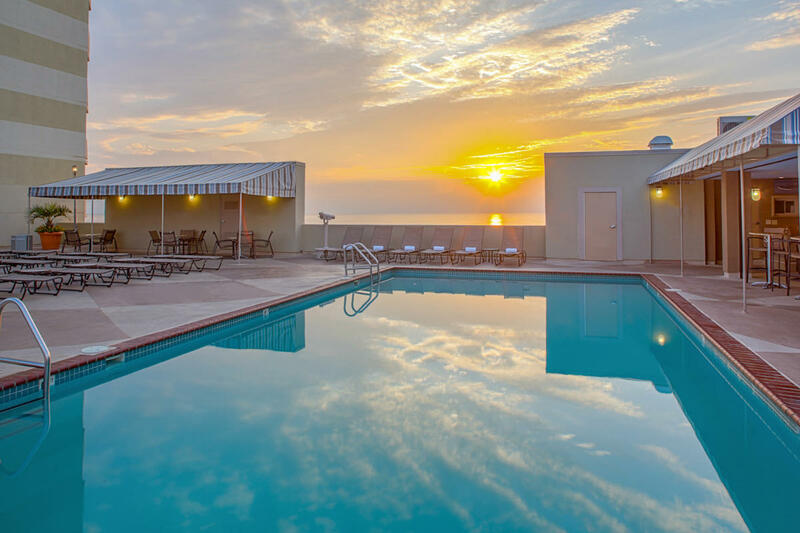 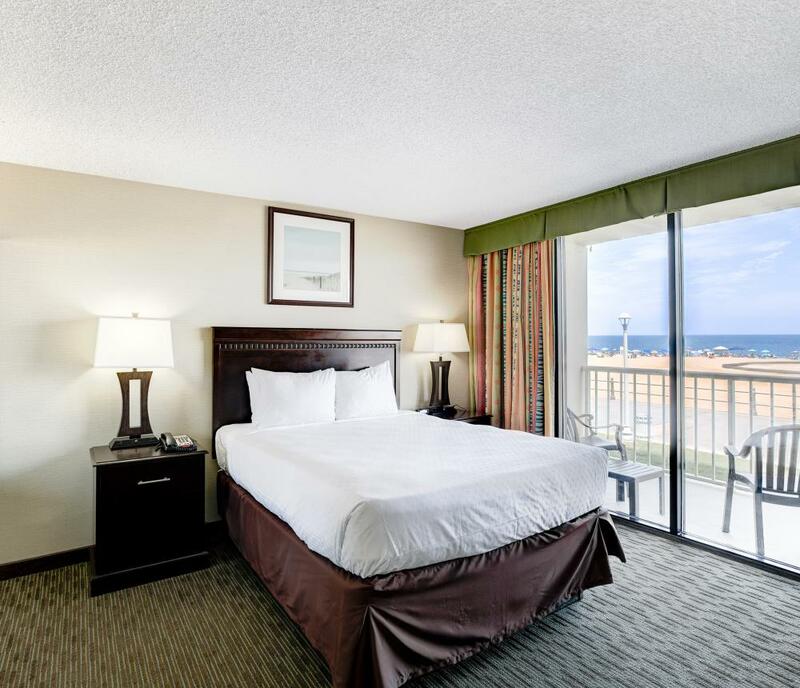 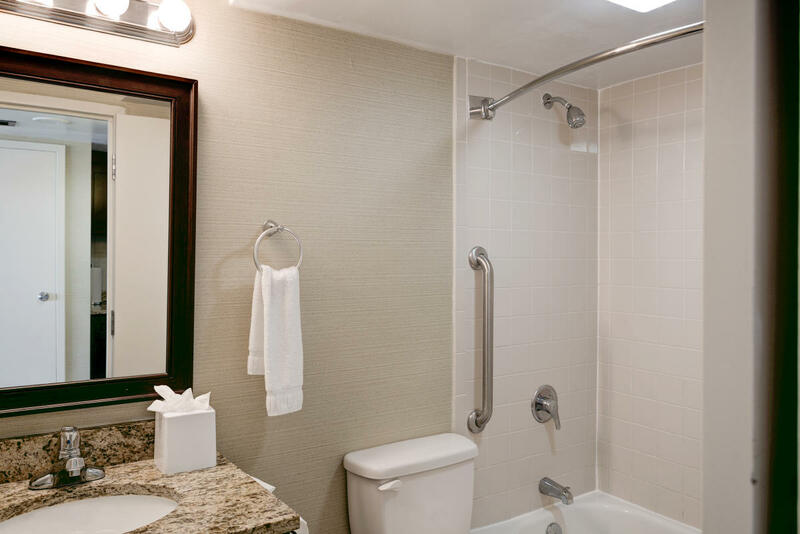 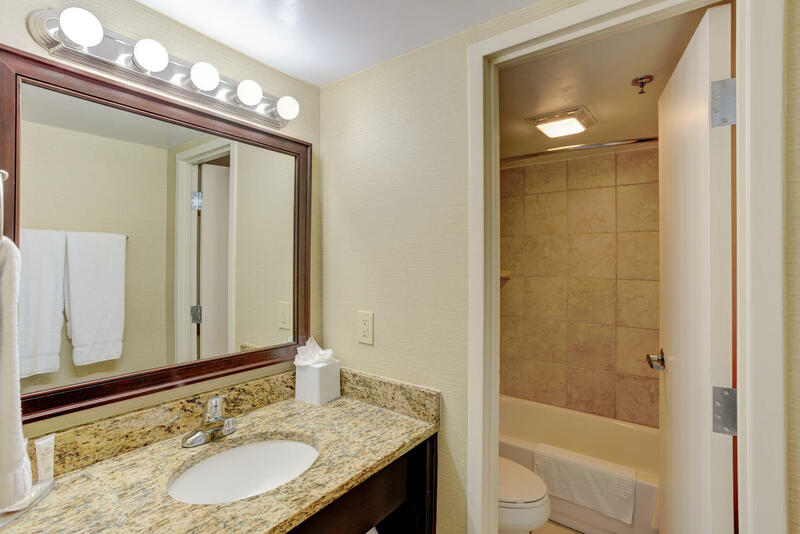 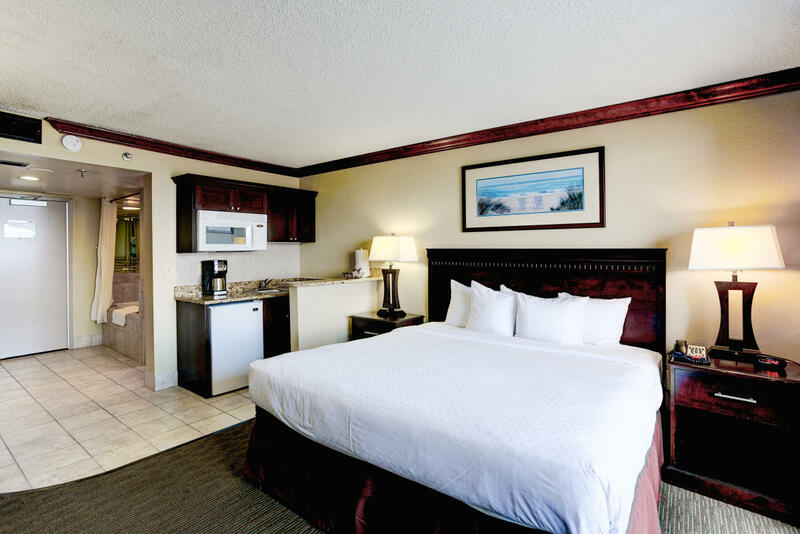 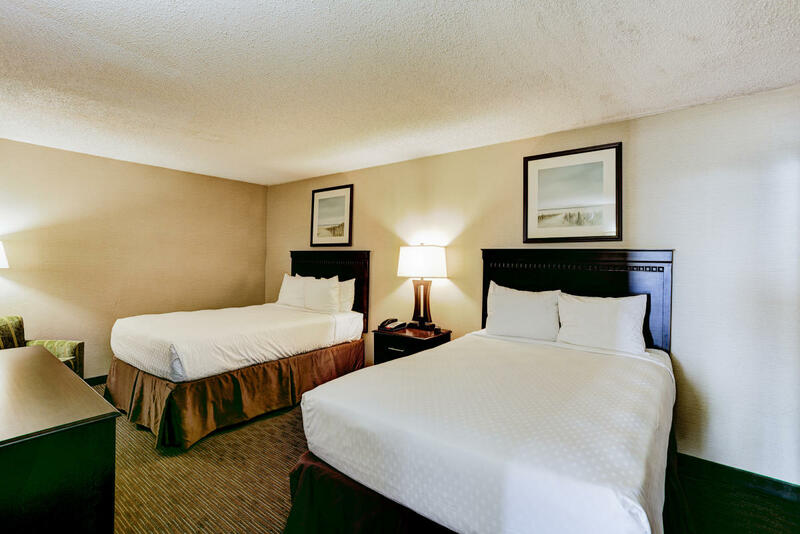 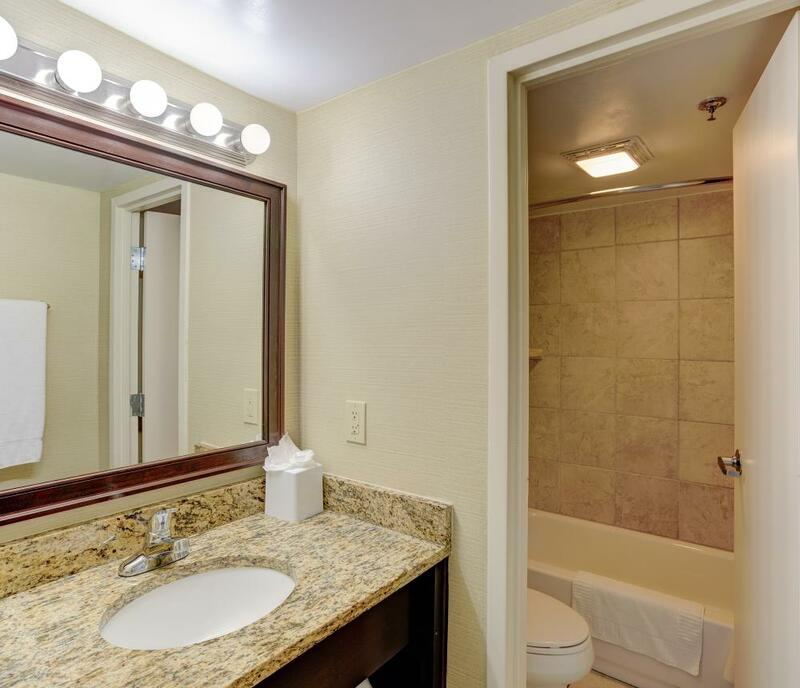 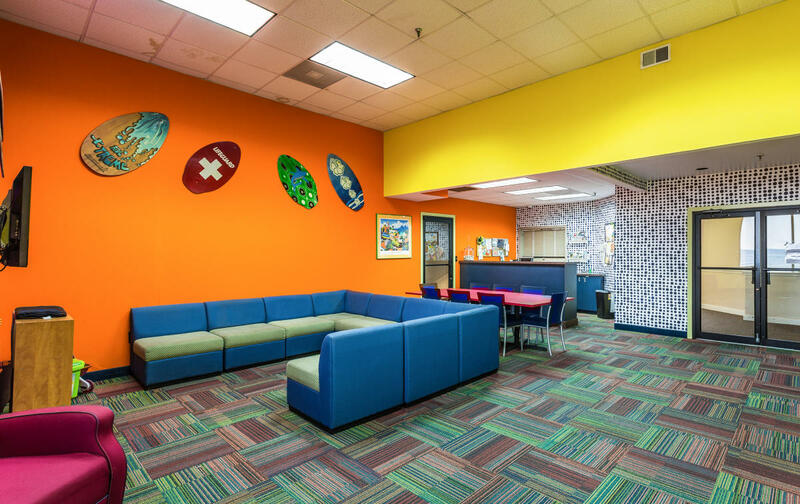 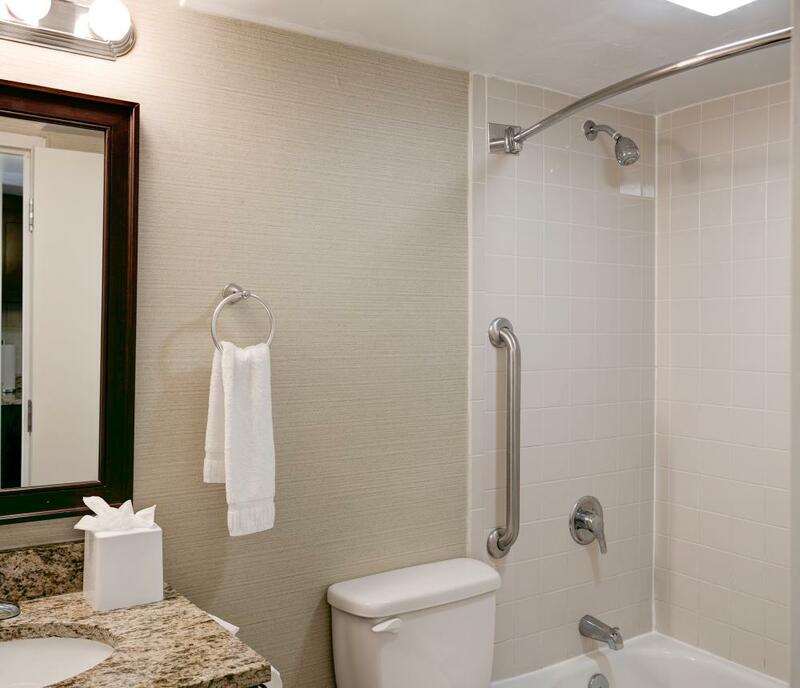 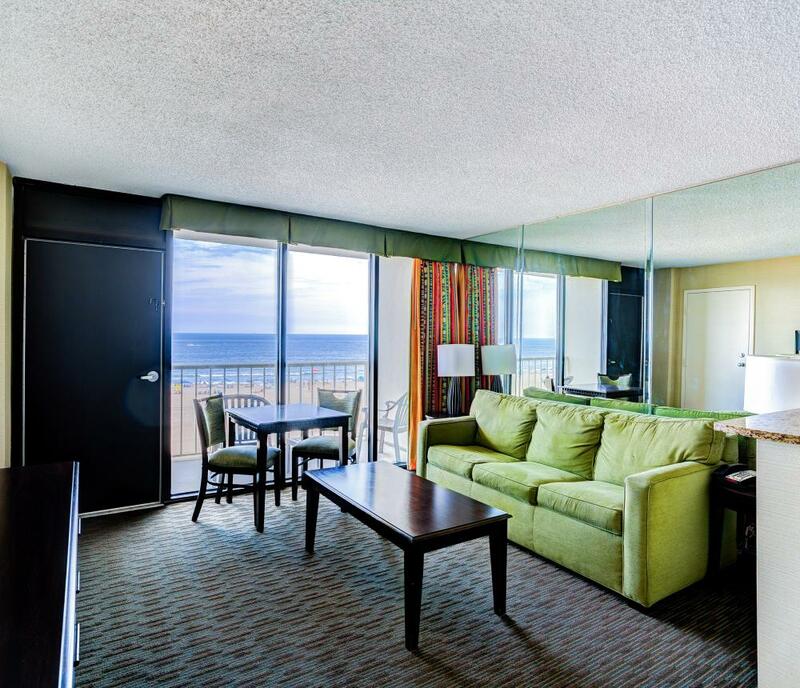 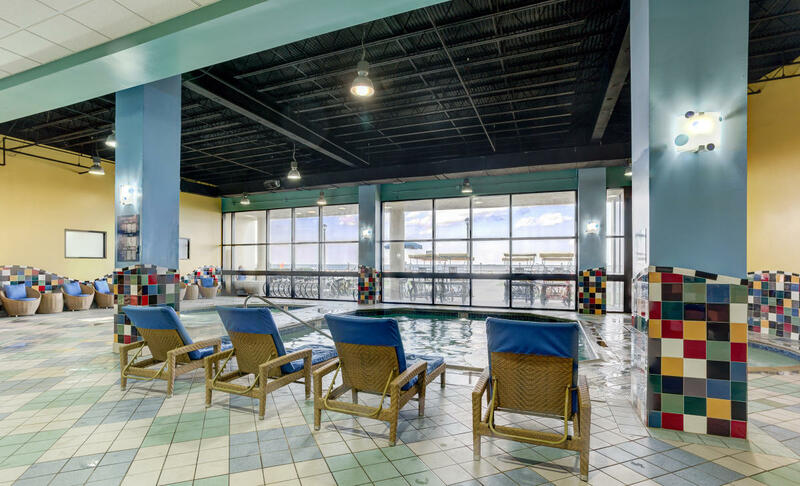 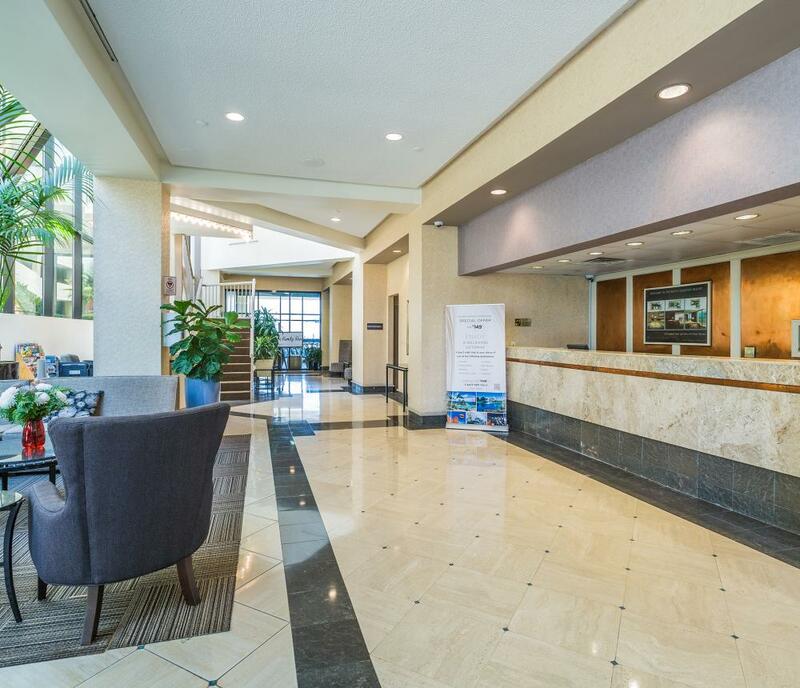 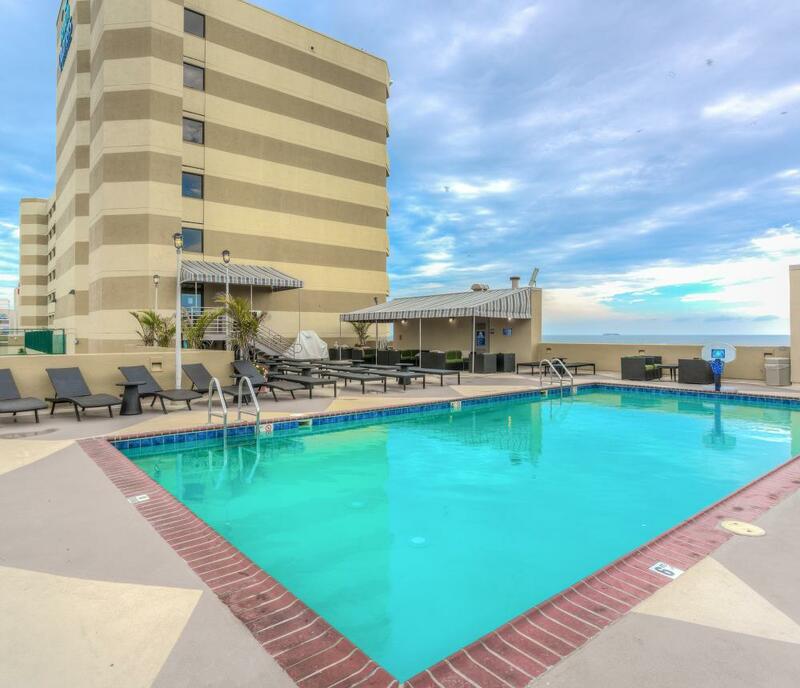 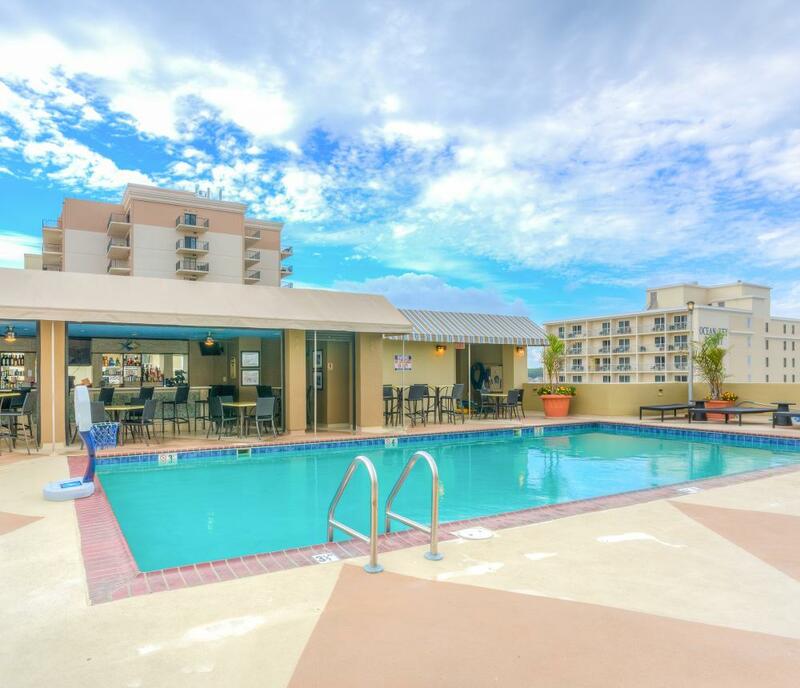 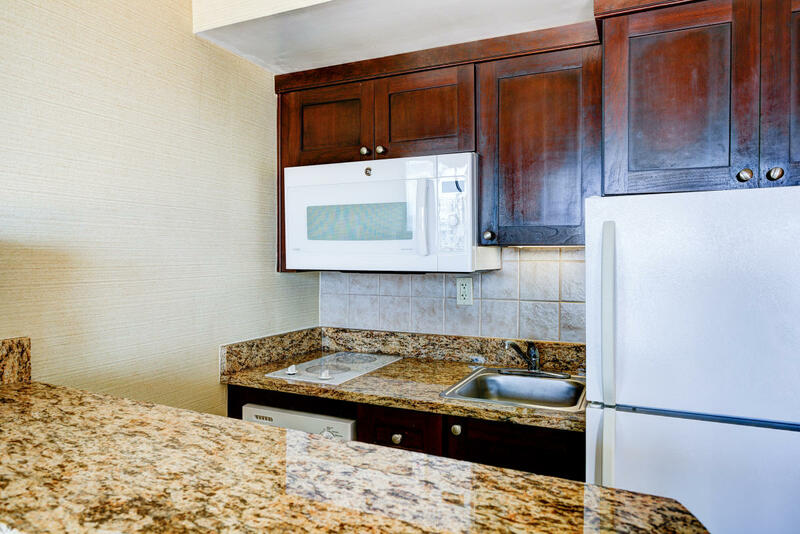 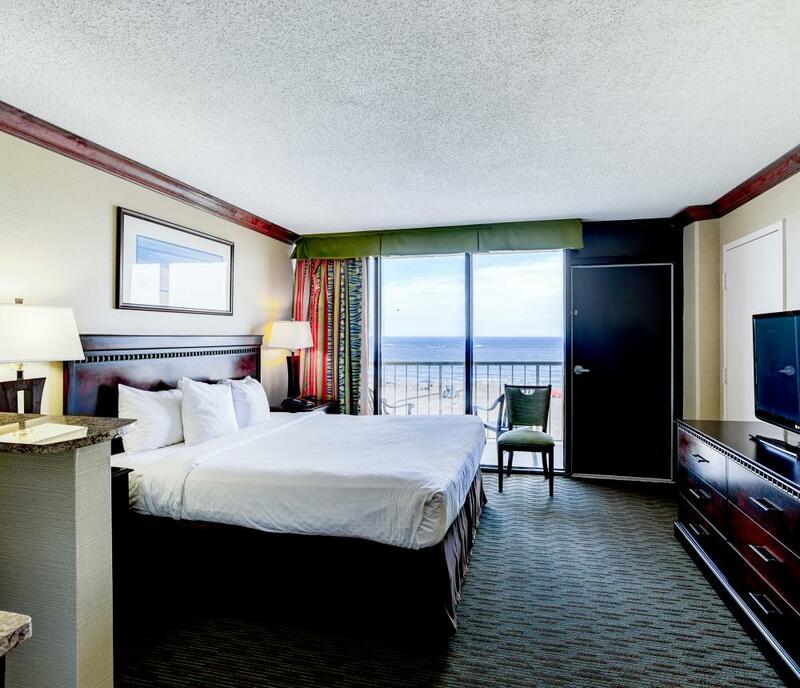 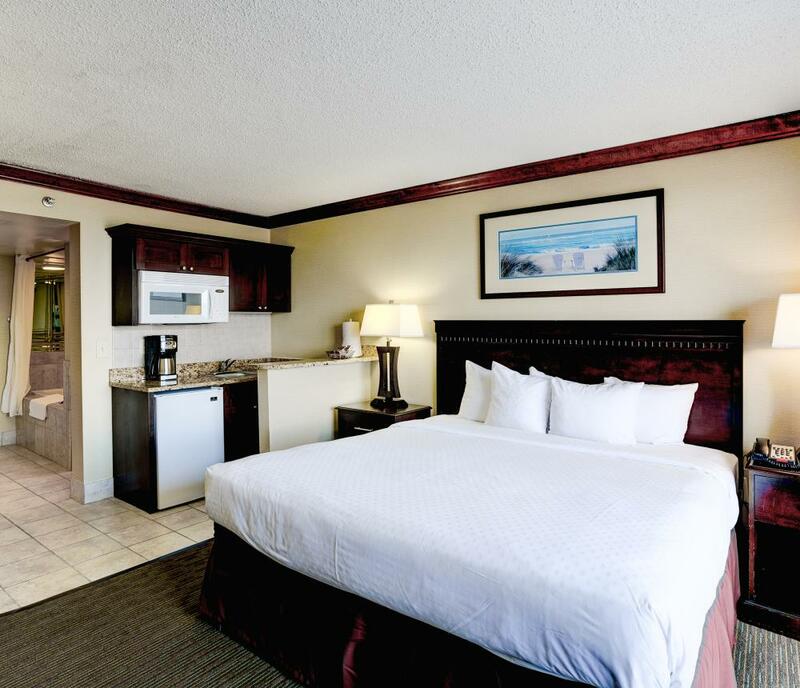 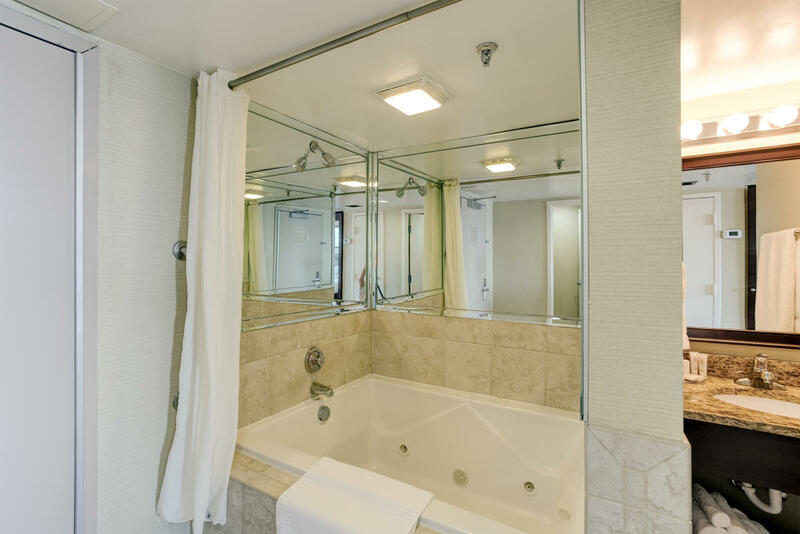 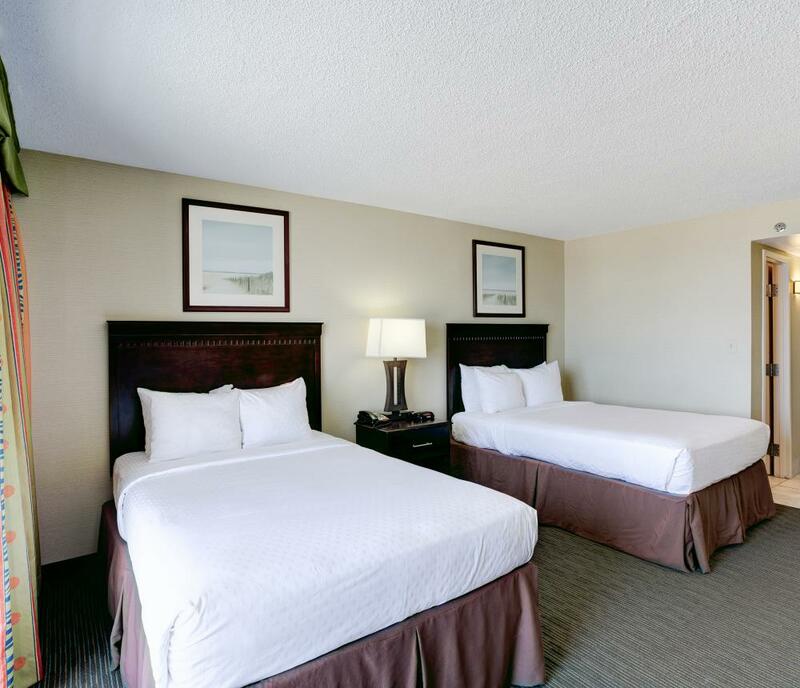 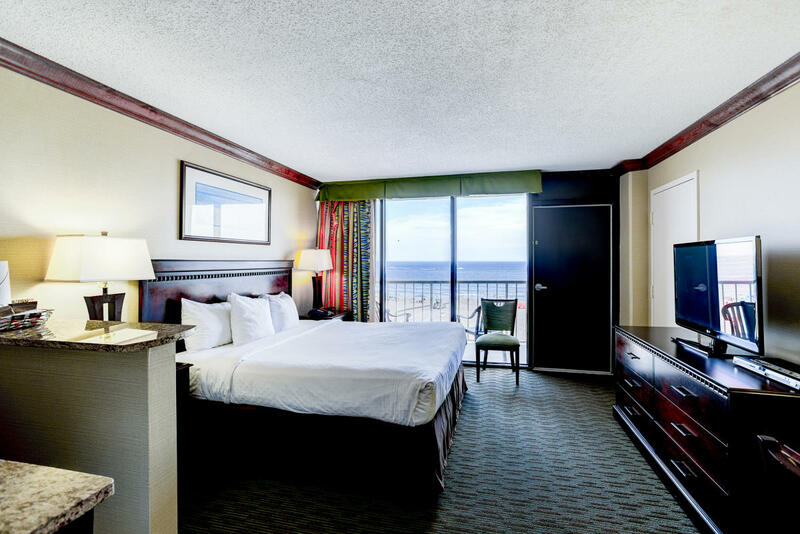 With the most amenities of any resort on the beach and all oceanfront rooms and suites, Beach Quarters by Diamond Resorts is easily the best value on the Virginia Beach Oceanfront. 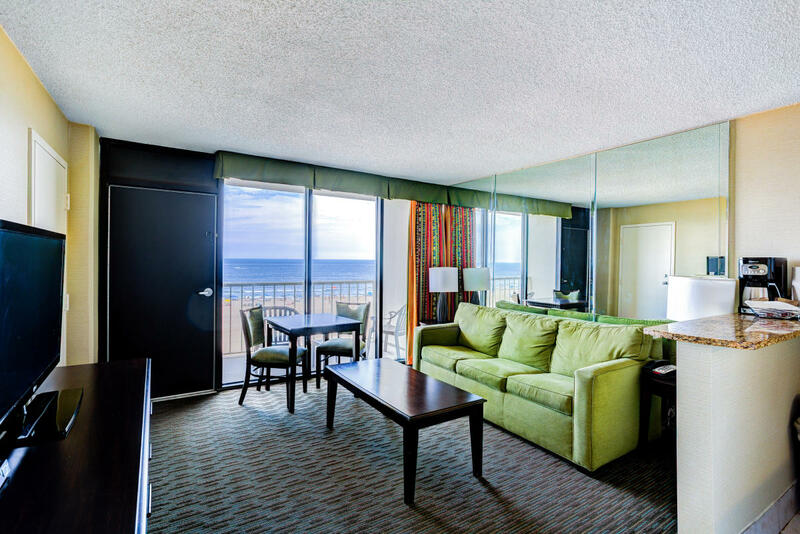 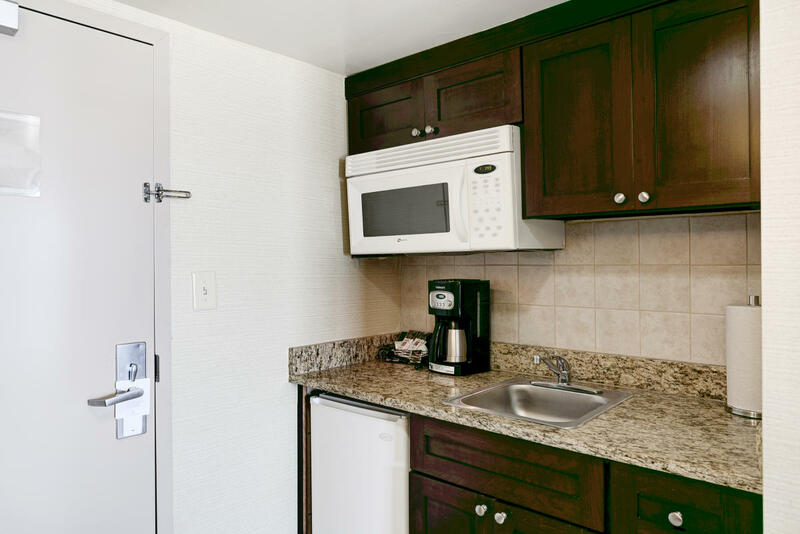 One-bedroom suites that sleep up to six, and a full kitchen and queen sleeper sofa in living room, make it a great choice for families vacationing for a week or more. 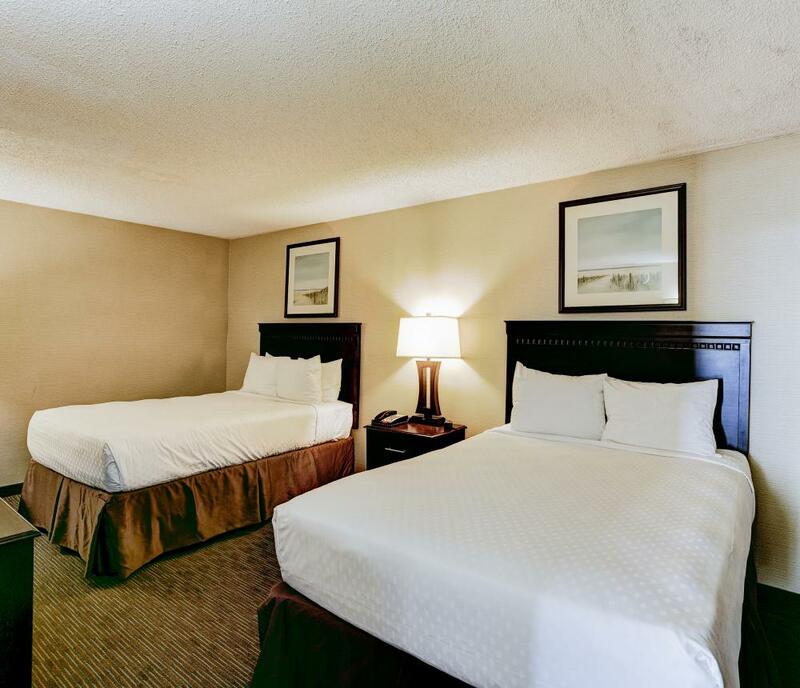 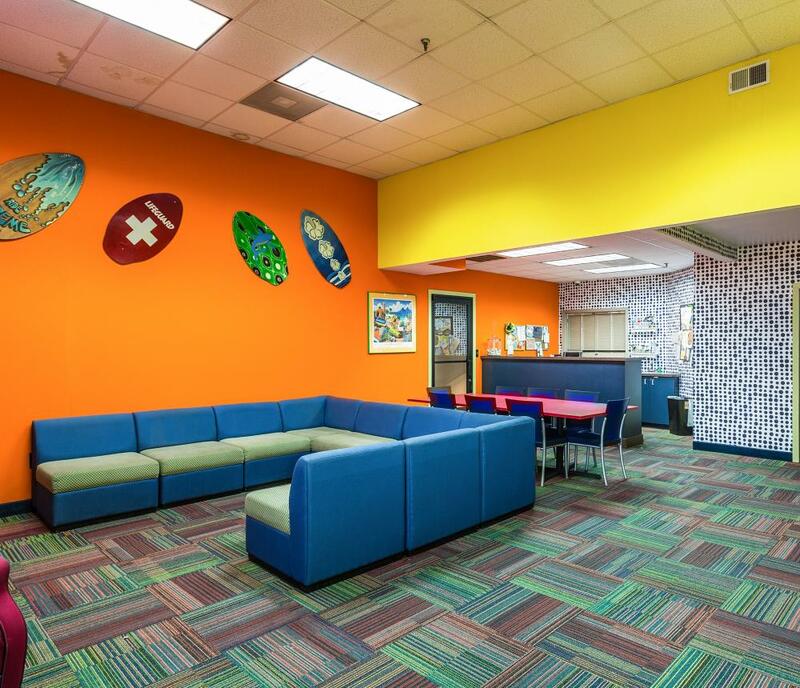 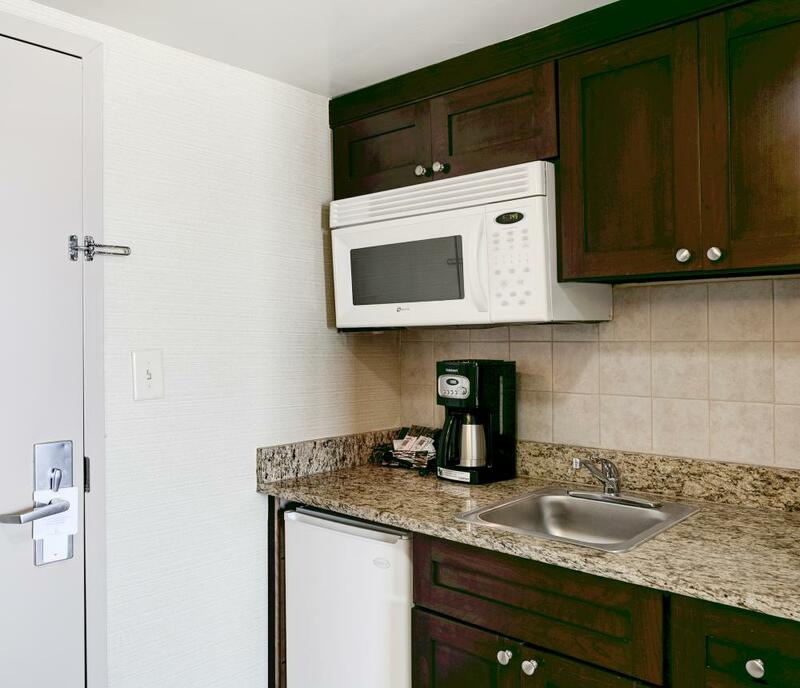 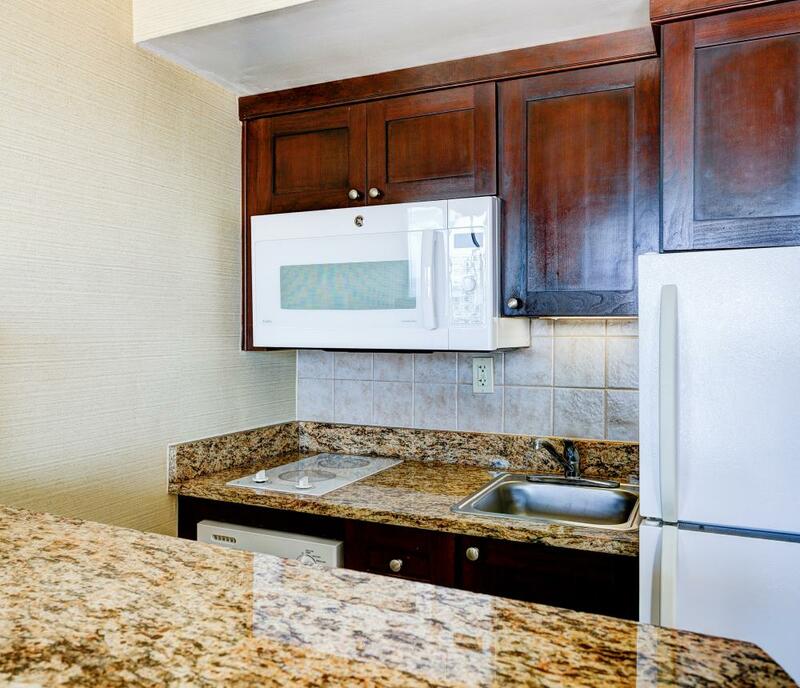 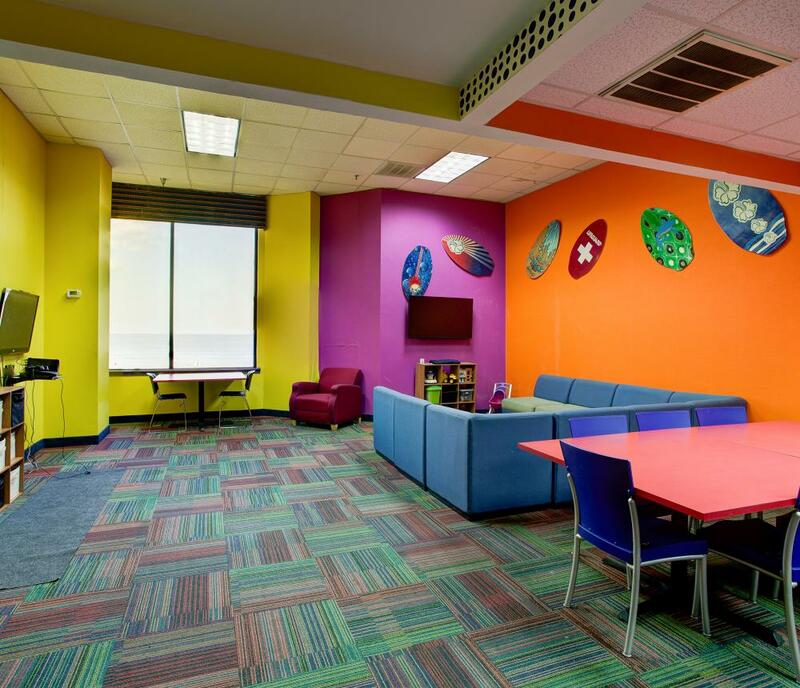 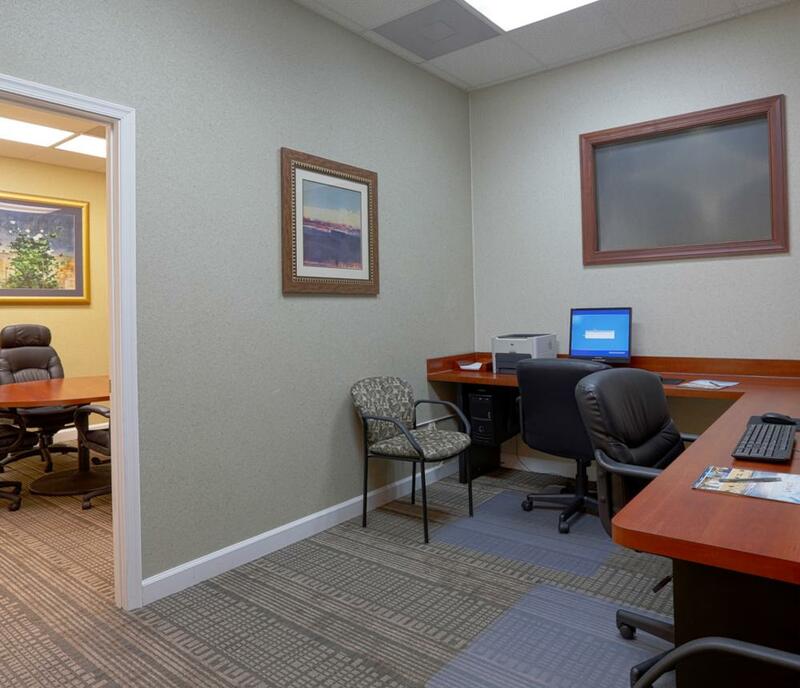 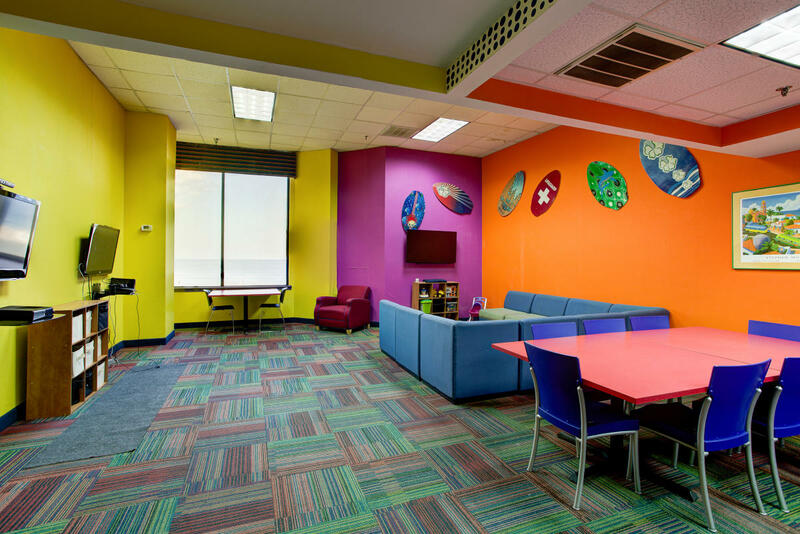 Studios include one king bed or one queen bed and a fully-equipped kitchenette. 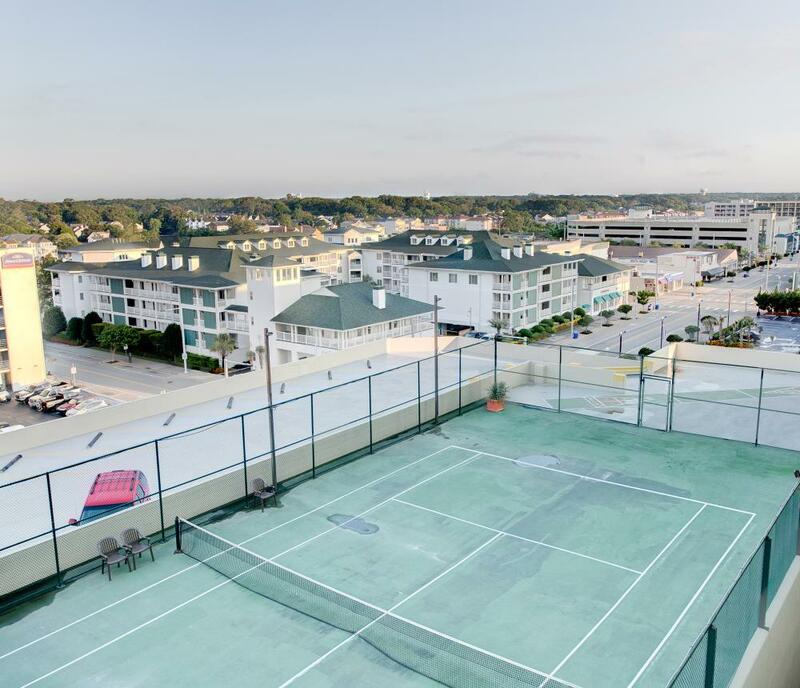 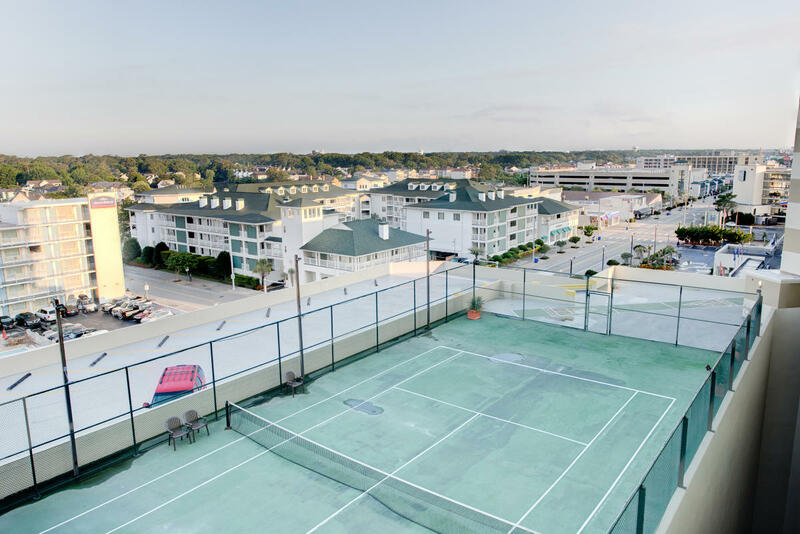 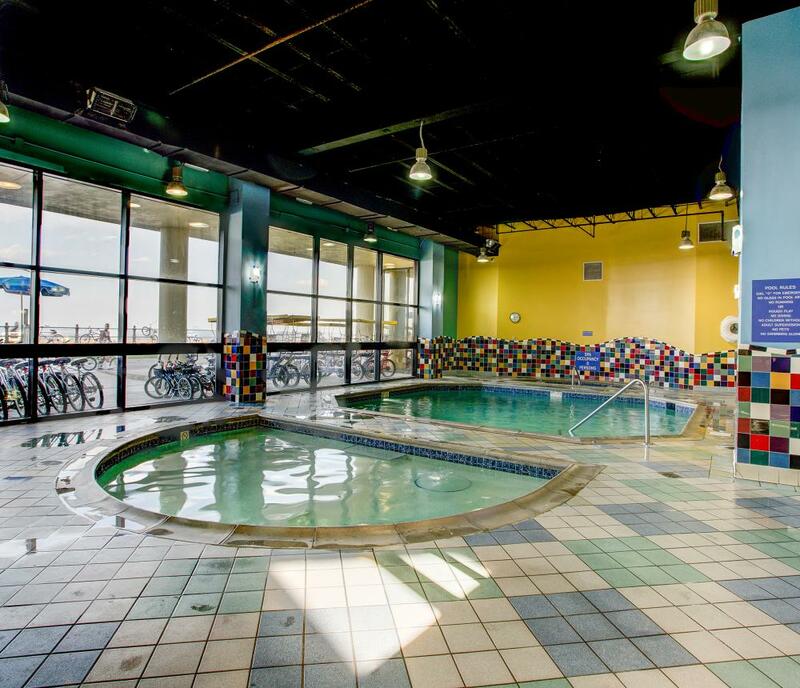 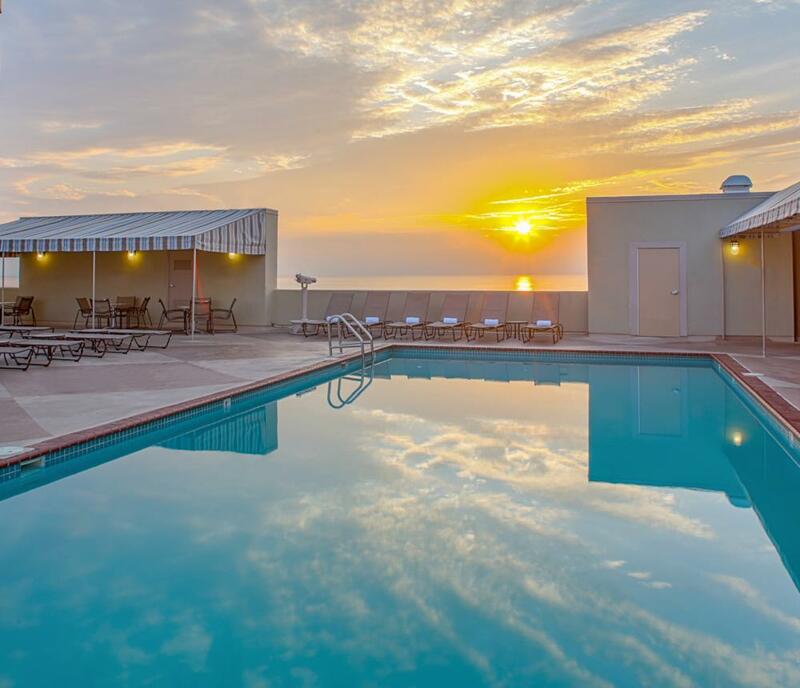 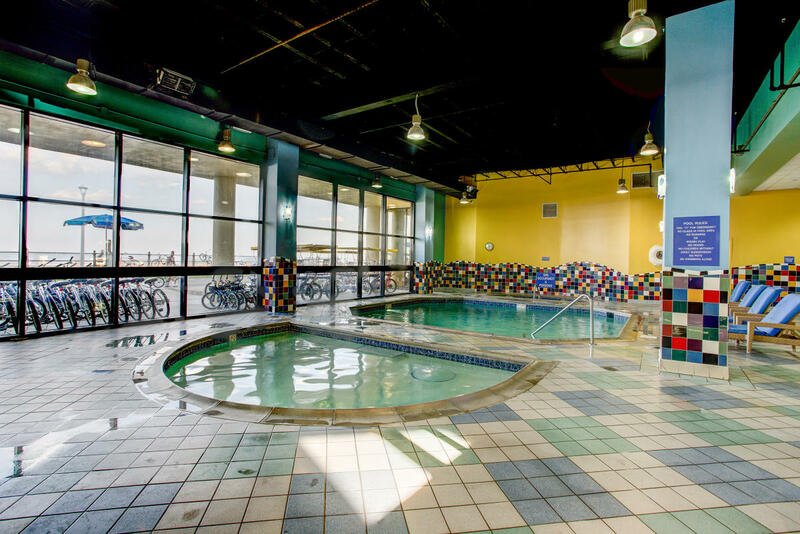 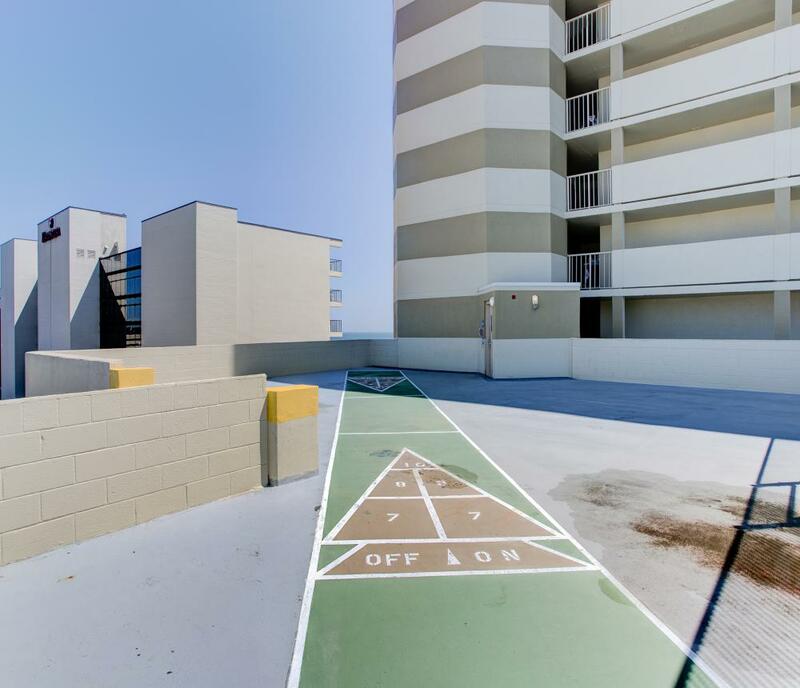 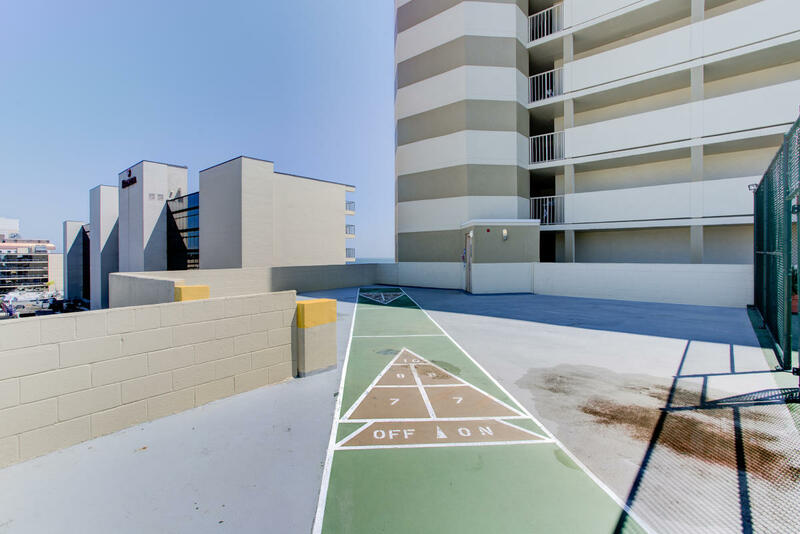 Get in a game of rooftop tennis or shuffleboard, swim in the heated indoor oceanfront pool or soak up the sun at the 7th-floor rooftop pool. 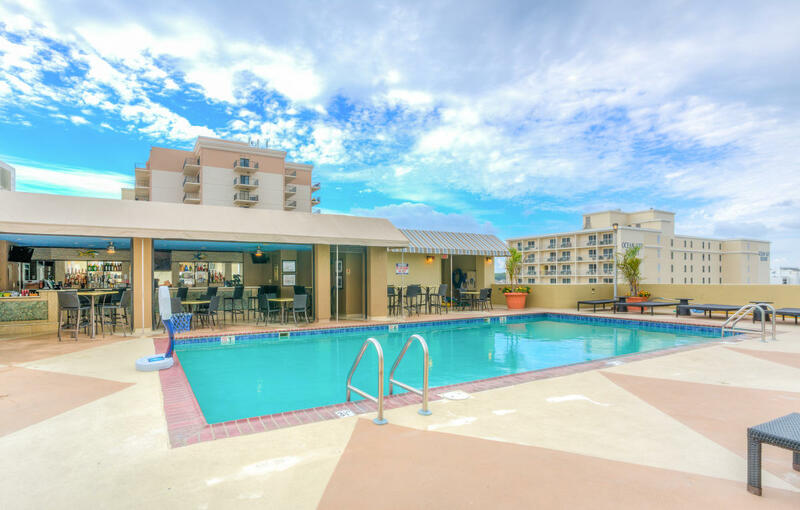 Enjoy a frozen cocktail or a meal poolside at Sandbar, a tropical bar and grill on the 7th-floor pool deck overlooking the ocean. 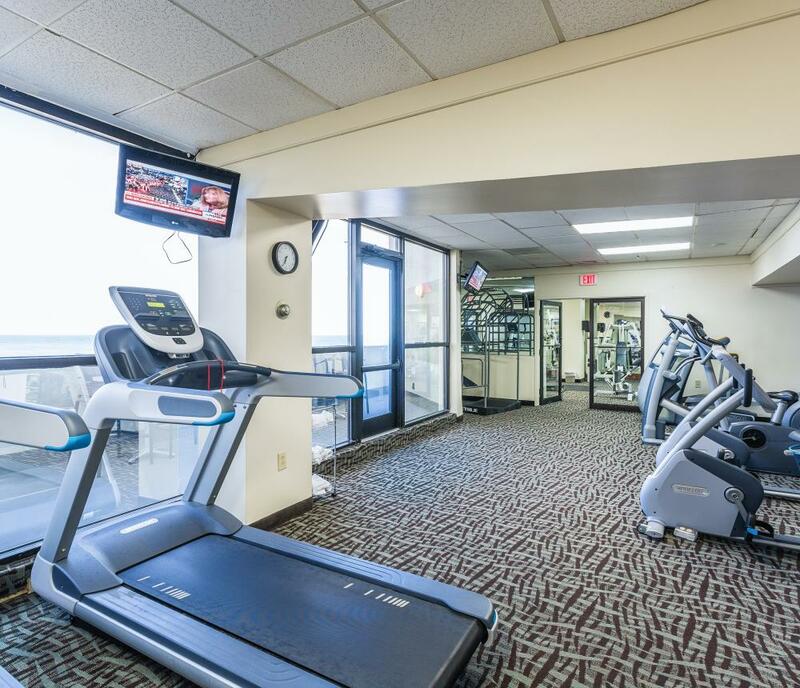 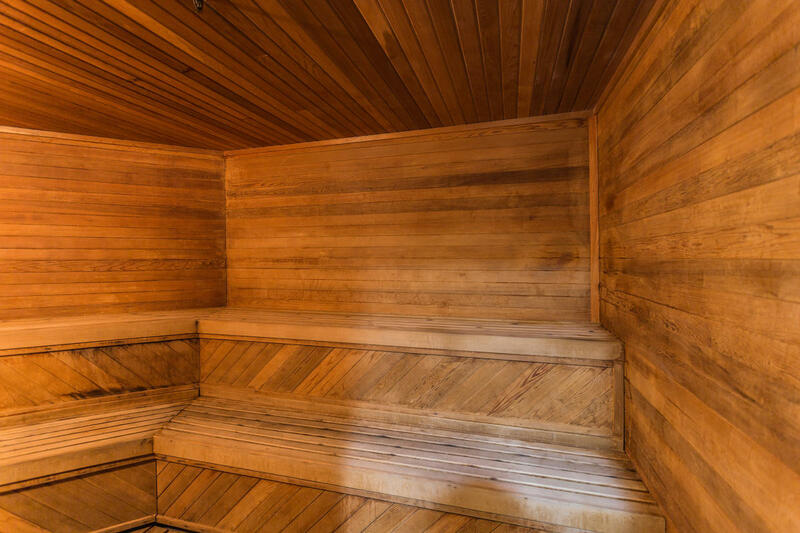 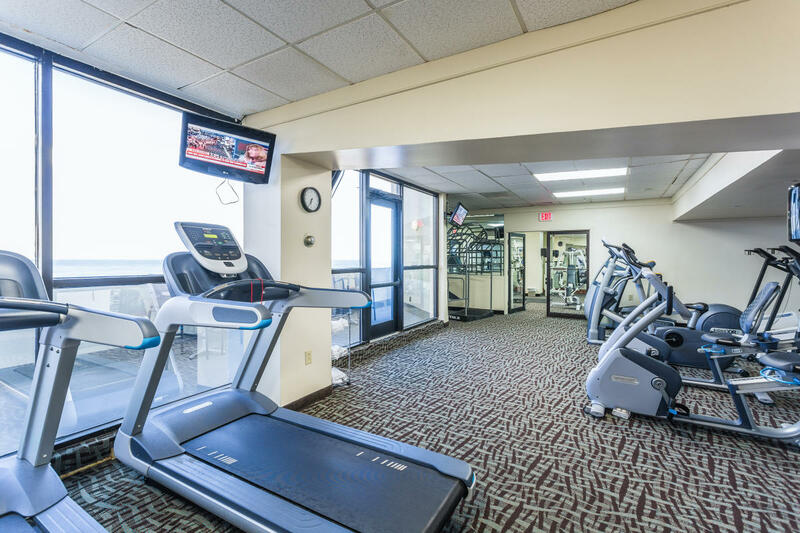 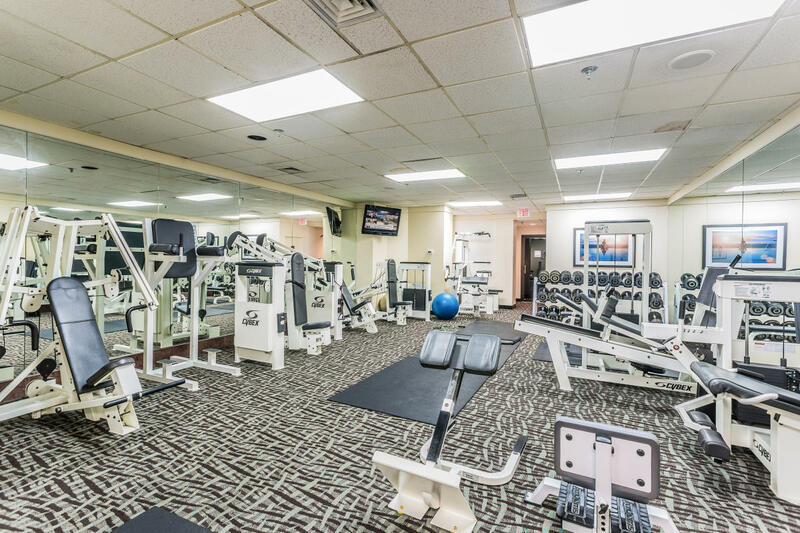 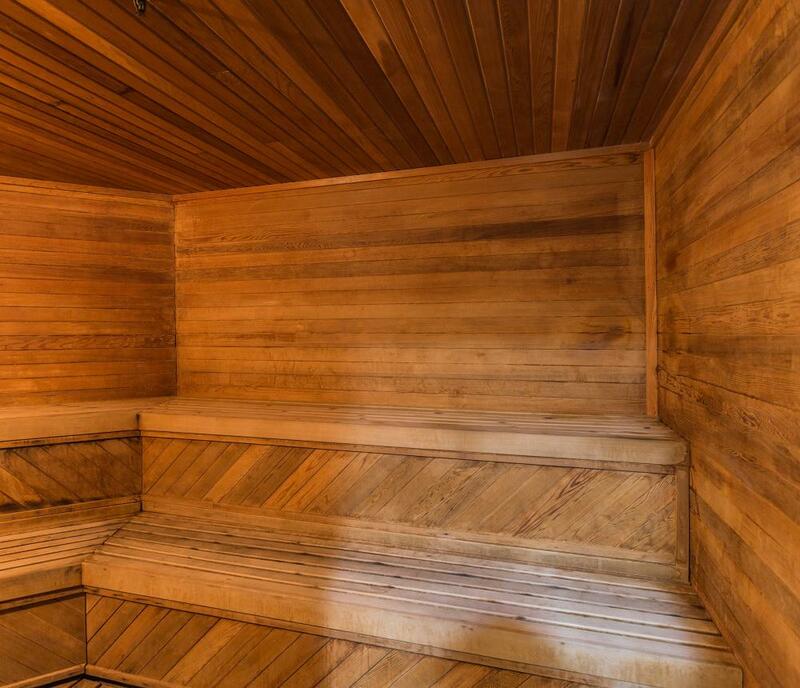 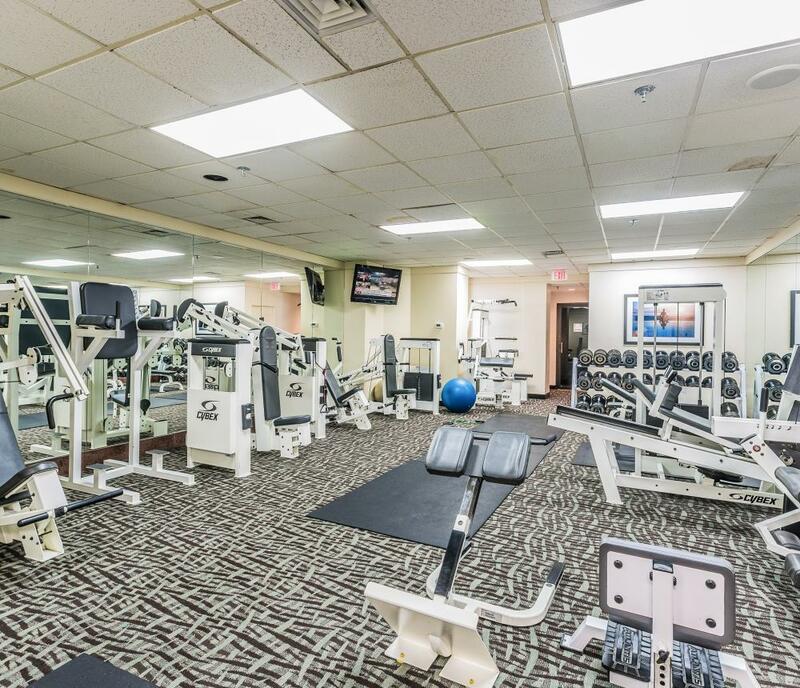 Work-out in the expansive athletic club which features a sauna, steam room, whirlpool and exercise machines.